ATTS Webinar Month Winner is Collette Murphy. ATTS recently conducted a Webinar month broadcasting weekly webinars for Expedia TAAP, Finnair and Flexible Autos. 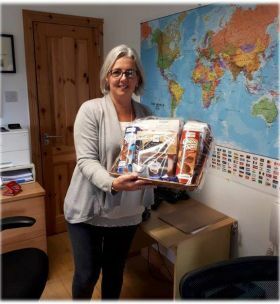 They had a prize draw for all the webinar participants and Collette Murphy (MD Travel) won the prize! Congratulations.